LUGOGO – Two managers who share similar philosophies for the game will be in the opposite dug-outs as KCCA FC host Police in the StarTimes Uganda Premier League on Friday afternoon. Like KCCA’s Mike Mutebi, Abdallah Mubiru of Police believes in free flowing possession based football which in-turn promises a spectacular spectacle at the StarTimes Stadium in Lugogo. With the Cops also currently hosting their games at Lugogo, it adds more thrill to the encounter. KCCA FC are currently leading the standings on the log with 30 points from their first 13 games but their coach (Mutebi) is not getting carried away. “We go into Friday’s game while still on top of the standings and we know there is no room for error. “Despite that, there are up to six other teams that are still in the running to win it and we know we have to do our part so that we do not have to look over our shoulders with worry. “Coming up against Police, we meet a side that has a very good coach who believes in an expansive brand of football. “I am optimistic that a wonderful brand of football will be exhibited during the 90 minutes. KCCA FC will still be without Ibrahim Saddam Juma who has been injured since their 3-2 loss away to Express last month. Julius Poloto and defender Bernard Muwanga are beening eased into the starting team after lenghty layoffs and it remains to be seen whether Mutebi will hand them starts. For Police, they welcome back former KCCA defender Paul Willa from suspension and they are also boosted by the return of Hassan ‘Gaata’ Kalega who missed the 3-2 win over Kirinya Jinja SS due to a minor knock. However, midfielder Samuel Kayongo remains out. The Cops have had a remarkable turnaround after losing all their first three games. Currently, they have lost only two of their last 10, form that has seen them climb as high as 6th, 10 points behind KCCA. Ahead of the game, Police Coach Abdallah Mubiru believes his side can pull off a result despite coming up against a very good side. “It will be a good match, said Mubiru. “We face a very good team, log leaders with a good coach and so much quality in their squad but I believe in my boys as well. This will be the 18th meeting between the two sides since October 2010. In the previous 17 match-ups in that period, KCCA has not lost a single game to police (W12 D5). Last season, the Kasasiros took 4 points off Police including a 2-0 win in the reverse fixture. The last time there was a goalless draw in this fixture was in November 2011. 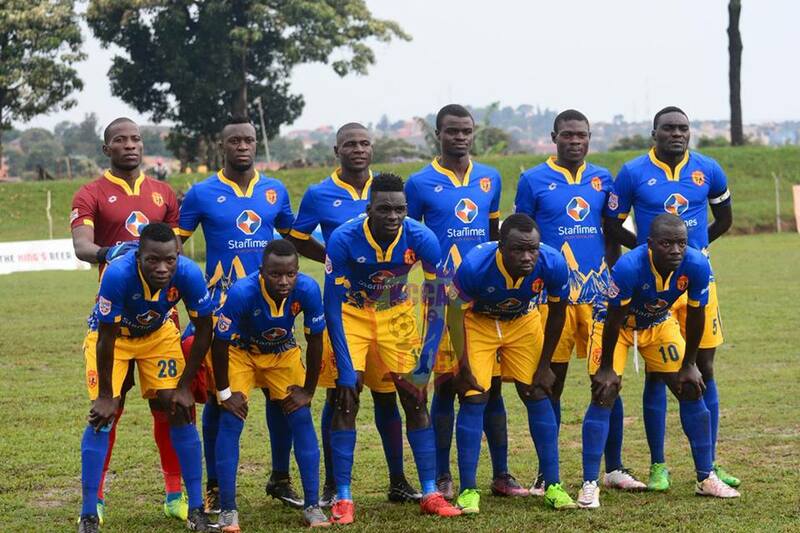 KCCA are currently on a five game winning run in all competitions, scoring 18 goals whilst conceding only four. In the League, Mutebi’s side have lost only one of their last 18 fixtures (W13 D4). The only loss in that period was the 3-2 defeat to Express on 11th December. At home, the Kasasiros have not lost a league game in over a year, winning 20 and drawing 5 of the 25 game since their 2-1 loss to Vipers in April 2017. For Police, they go into the game having won 6 of their last 10 league games (D2 L2). However, they are currently on a three game winless run on the road (D1 L2). The last time they triumphed in an away game was in the 2-1 win away to Nyamityobora on 30th October.